The President of KIIT and KISS Smt. 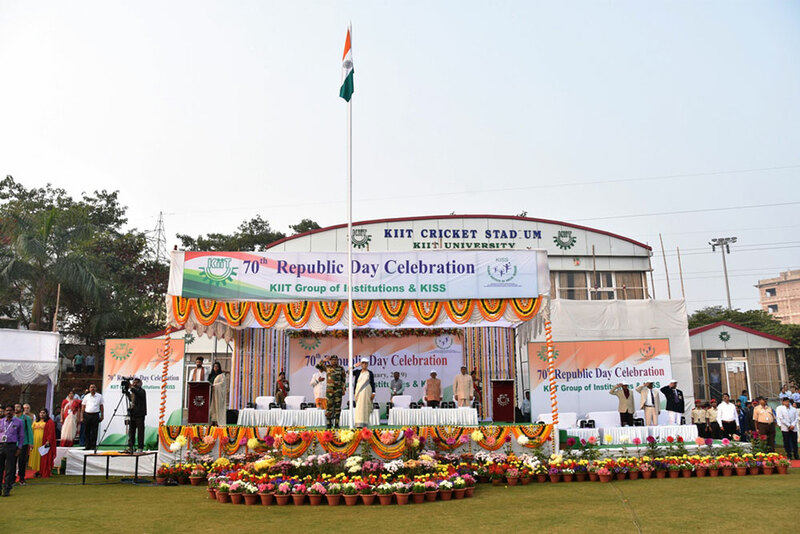 Saswati Bal unfurled the National Flag on the eve of the 70th Republic Day observed by KIIT Group of Institutions amid a lot of joviality at KIIT Cricket Stadium Today. 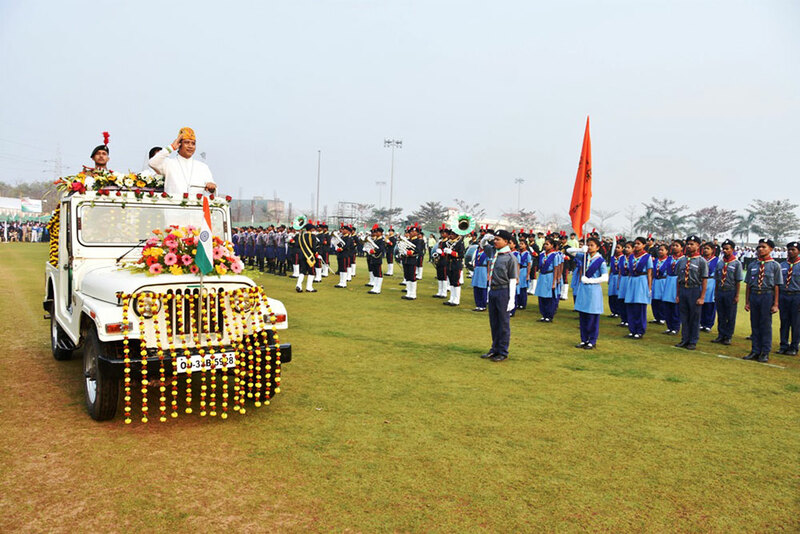 The Unfurling Ceremony was instantly followed by the March Past carried out by the students of different Schools of KIIT Group of Institutions and KISS. “Every November in Cuttack, the people of Odisha celebrate Kalinga Baliyatra. The relationship of between Kalinga with Bali is very strong. Late Biju Patnaik was conferred the highest award of our nation. We have deep respect for Biju Patnaik ji, because he had saved the life our President when he(Biju Patnaik) was a pilot. All the young generation should know the relationship between Kalinga and Bali. 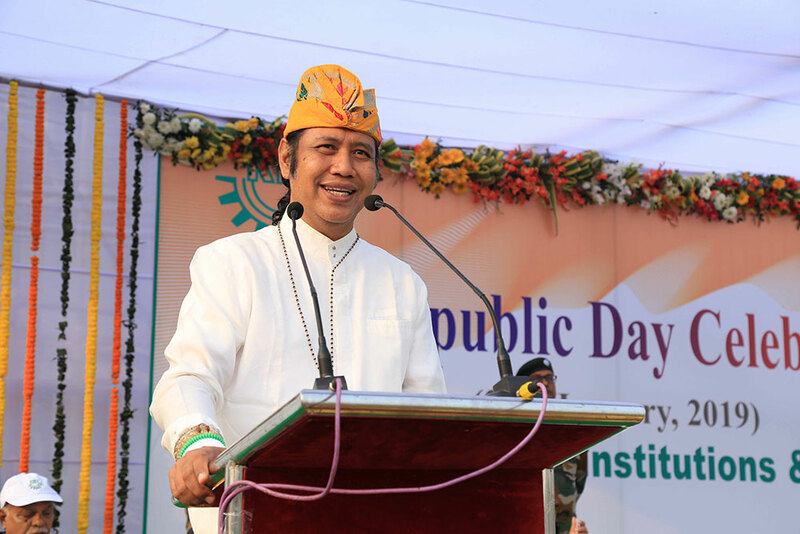 Let’s start the 70 years of relationship between Indonesia and India from Kalinga, ” he added. 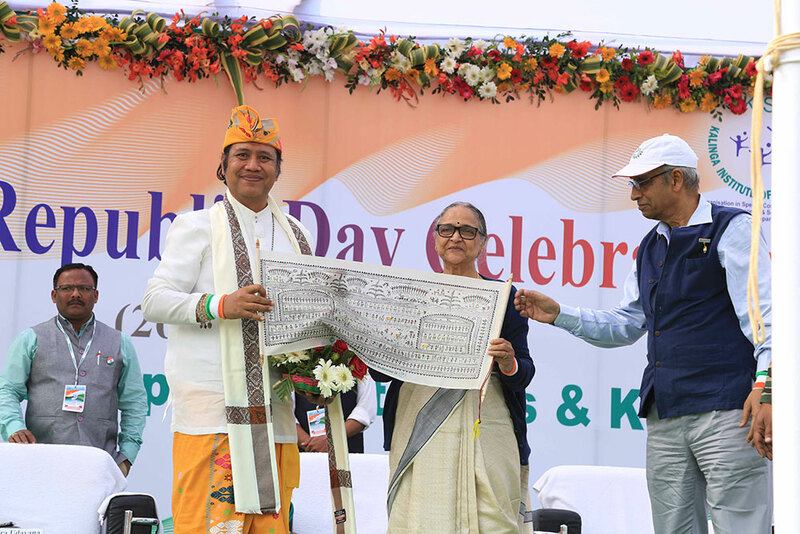 Addressing the august gathering, The Founder of KIIT and KISS, Dr. Achyuta Samanta expressed his pleasure in celebrating the 70th Republic Day amid splendor and welcomed the Guests to this noteworthy event. 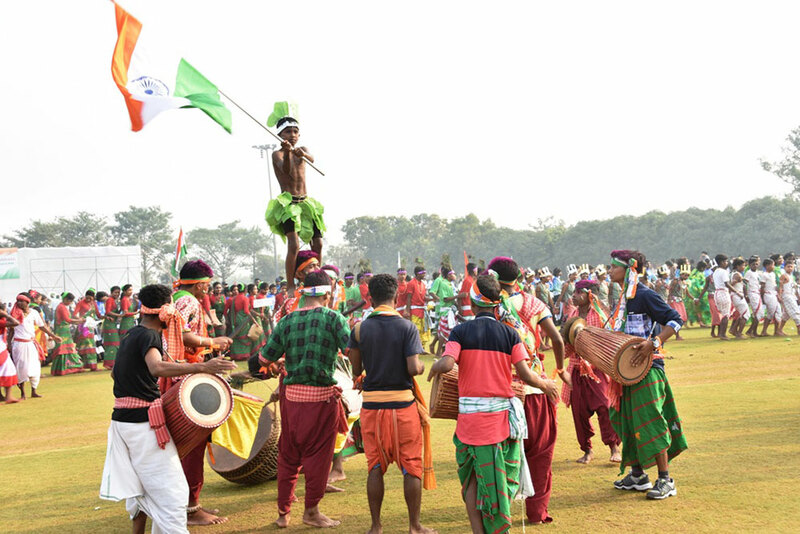 On this occasion, the students of different constituent schools of KIIT, KIMS and KISS displayed sparkling performances reflecting various relevant messages of social, political and patriotic significance to the spectators’ delight. Later on, Best Staff Awards were conferred to ten teaching and an equal number of non-teaching staff of KIIT Group of Institutions and KISS. The judges of the Parade were also felicitated. Besides, the winners in various competitions got awarded. At the end, the Students’ Achiever Award and the same in Sports Category were presented by the Guests and Dignitaries. Among the distinguished Dignitaries, Prof.(Dr.) John Winterdyk, Mount Royal University, Canada; Prof. Kim Seung Jae, Hanseo University, Korea; Prof.(Dr.) Subrat Acharya, Pro-Chancellor, KIIT Deemed University; Sri R. N. Dash, Secretary, KIIT and KISS; Prof. Hrushikesha Mohanty, VC, KIIT Deemed University; Prof. Harekrishna Satapathy, VC, KISS Deemed University along with a host of senior functionaries of KIIT Group Institutions were present on this much coveted event.